The Divider Bag 40 sits right in the middle of the range and, as the name suggests, it comes with a number of inner dividers that can be repositioned to suit the kit you carry. With the ability to hold two DSLR cameras with grips and attached lenses, up to six extra lenses, a flash unit and accessories, its storage capacity is impressive – and is all the more so when you consider it weighs just 900g when empty. However, it is worth noting that the Divider Bag 40 comes just with a carry handle on top and no shoulder straps. This is because Vanguard has designed the Divider Bag range primarily as storage and organisation cases, and not as backpacks or carrier bags. 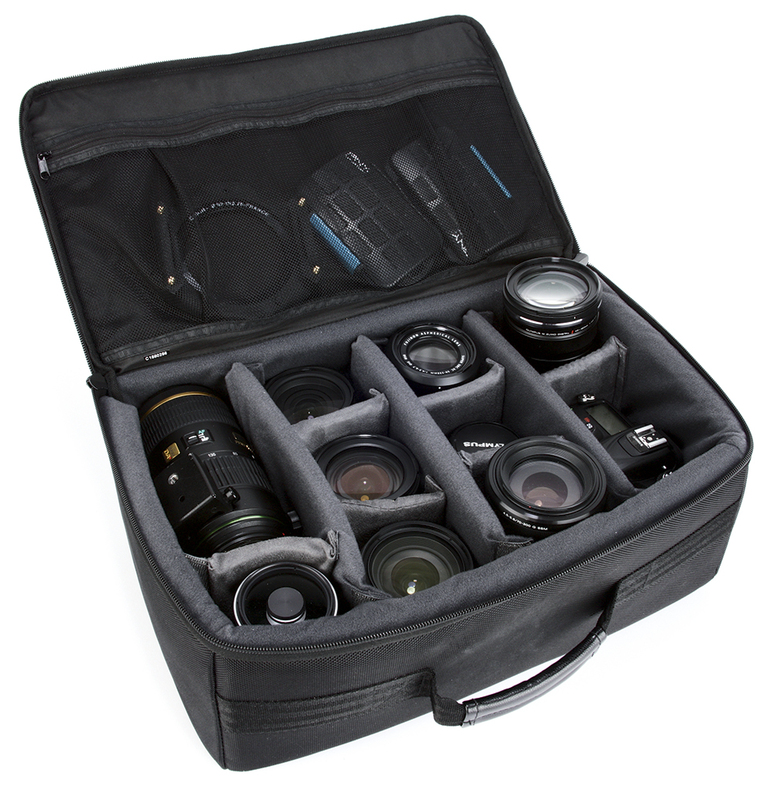 With this in mind, the range is still great for keeping all your lenses and cameras in one place – whether in the studio, at home or in the car for a big shoot. 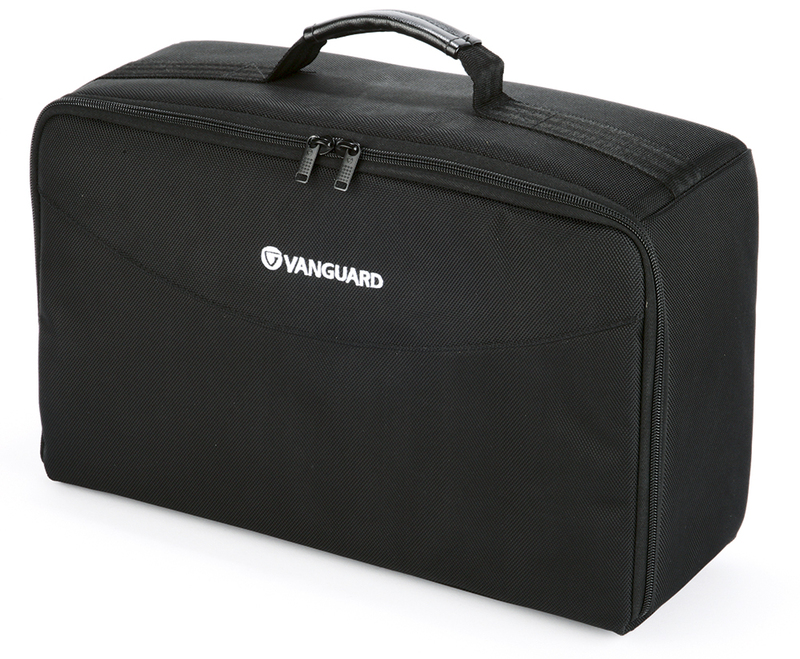 It’s also possible to fit it inside a Vanguard hard case and, in our test, the Divider 40 fitted snugly inside the Vanguard Supreme 40F waterproof and airtight hard case (£130). If you have multiple kits, using the Divider 40 to store each set, then swapping it in and out of a hard case, is an alternative to unpacking and repacking. The build quality is good, there’s plenty of thick, soft padding to protect your gear and it has a couple of extra zippered pockets. For photographers looking to streamline their storage, this is a great accessory to invest in.